Arts of the Pamlico at the Turnage Theatre has an unbelievable schedule planned for the month of April. 3 Exhibits, 6 concerts, 2 festivals, 2+ shows on the big screen, 3 workshops AND MORE. Included in this listing is the annual BoCo Music Festival presented by the Beaufort County Traditional Music Association on Saturday, April 29th. And, the inaugural Glass Tulip Film Festival is scheduled for April 14th & 15th. Learn more about all of the programs available for ALL AGES at www.ArtsofthePamlico.org. The North Carolina Estuarium is a must-see for visitors and newcomers to Washington and Beaufort County. The free River Roving Cruises are just an added bonus! On April 8th the public is invited to an open house at the Estuarium as part of the statewide NC Science Festival. There will be extra exhibits, in addition to the 200+ permanent exhibits, programs, and activities throughout the day for children and adults to enjoy. Make plans today to enjoy another beautiful Saturday in Washington at the North Carolina Estuarium. Call for more information, 252-948-0000. The Washington Marine Market returns this year on Saturday, April 29th. Find some of everything related to the water at this outdoor market. Vendors and individuals bring their wares. You may even score one of those hard to find replacement parts for your old boat or an antique fishing rod. You’ll just have to come and see for yourself. Complementing the activities of the Marine Market will be the BoCo Music Festival and Saturday Farmer’s Market. 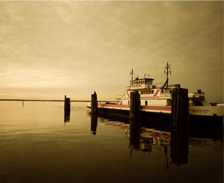 All are great reasons to come to downtown Washington and enjoy a day on the Pamlico! There is so much happening this Spring in Washington that we couldn’t fit it all in our newsletter. Be sure to check out the complete CALENDAR OF EVENTS here! We don’t want you to miss a thing!